The price adjustment clause in the contracts awarded by the National Highway Authority of India has given rise to complex set of litigations involving high stakes, resulting in arbitration awards giving diametrically opposite decisions in different cases. The contract contains a ‘price adjustment clause’ which provides for a formula for adjusting prices for each month’s payment on the basis of positive or negative variation from the base rates on which bids were accepted. The work was divided into several components, being labour, plant & machinery & spares, petroleum-oil-lubricants (POL), bitumen, cement, steel and other materials. The percentage share of each component in the work cost was set out as below. It was also explained in the clause that x, y, z are the actual percentage of the cost of bitumen, cement and steel, respectively, used for execution of work as per the Interim Payment Certificate for the month. The dispute was regarding the method of computing variable cost component ‘x’, ‘y’, ‘z’ for bitumen, cement and steel. According to the contractor, it has to be computed on the basis of the actual and prevailing cost of every month. The NHAI’s stand was that it has to be computed on the basis of base rate on which bid was submitted. According to the NHAI, ‘actual percentage of cost’ refers to the percentage which is to be assigned to a particular component and it does not refer to the actual cost. In arbitration proceedings initiated by one contractor, M/s Progressive MVR (JV), the award favoured the contractor, and it was held that the actual rate has to be taken instead of base rate. The appeal filed by NHAI got dismissed and it carried the matter to the Supreme Court. Another contractor, NCC-VEE (JV), also got favourable award. However, another arbitral tribunal in the case of M/s Ssangyong Engineering and Construction Co. Ltd. accepted the other view, which goes in favour of the NHAI. 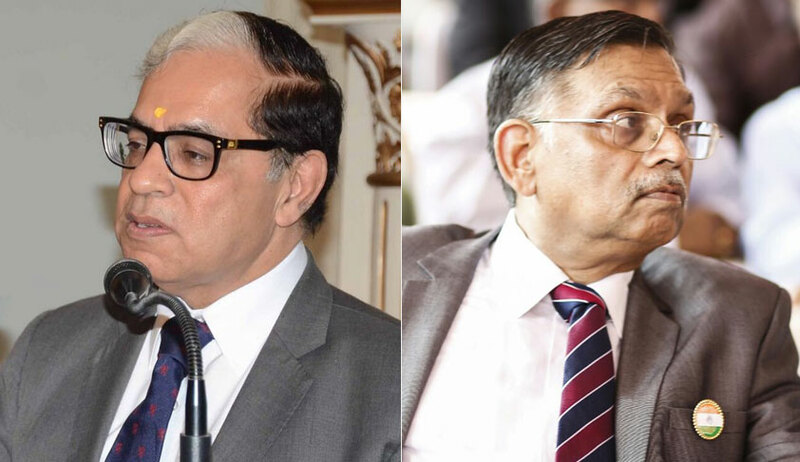 The Supreme Court bench comprising Justice AK Sikri and Justice Ashok Bhushan observed that the very nature of price adjustment suggested that such variation would have relevance with the price which was indicated in respect of these components at the time of submitting the tender by the successful. This adjustment which has to be arrived at, naturally, has to be in comparison with the base price that was. Therefore, the court felt that from the common-sense point of view, it is the base price which has to be kept in mind while working the price adjustment. Once we interpret the formula in the manner indicated above, the necessary consequences would be to hold that the Arbitral Tribunal(s) did not decide the cases with the correct application of the formula and further that the claim for price adjustment in respect of bitumen laid by the contractors was not correct. Therefore, it can be held that the Award(s) are contrary to the contractual terms. At the same time, this outcome poses a dilemma inasmuch as in these cases, the Arbitral Tribunal has taken a particular view and when this was a plausible view, keeping in mind the parameters of judicial review of the Court in exercise of powers under Section 34 of the Act, normally the Court would not interfere with such Awards. However, as already indicated above, such a situation has arisen because of conflicting Awards given by the Arbitral Tribunals themselves, which has provoked this Court to take a final view in the matter, necessitated by the aforesaid reason. If one takes into consideration the theory that one applies the principle mechanically i.e. that a plausible view is not to be interfered with then it may lead to very anomalous situation. In such an eventuality, view taken by a particular Arbitral Tribunal in favour of the Contractor would be upheld as plausible view. Likewise, the Court will have to uphold the view taken by a particular Arbitral Tribunal in favour of NHAI as well, as a plausible view. Therefore, the purpose is to avoid such a situation which cannot be permitted as it would result in upholding both kinds of arbitral awards interpreting the same clause, whether they go in favour of the employer or they go in favour of the contractor. The appeals by NHAI were allowed. But it was clarified that proceedings already concluded will not be affected by the judgment and that it will be applicable only to pending proceedings, including the present one, where awards are challenged on this particular aspect.